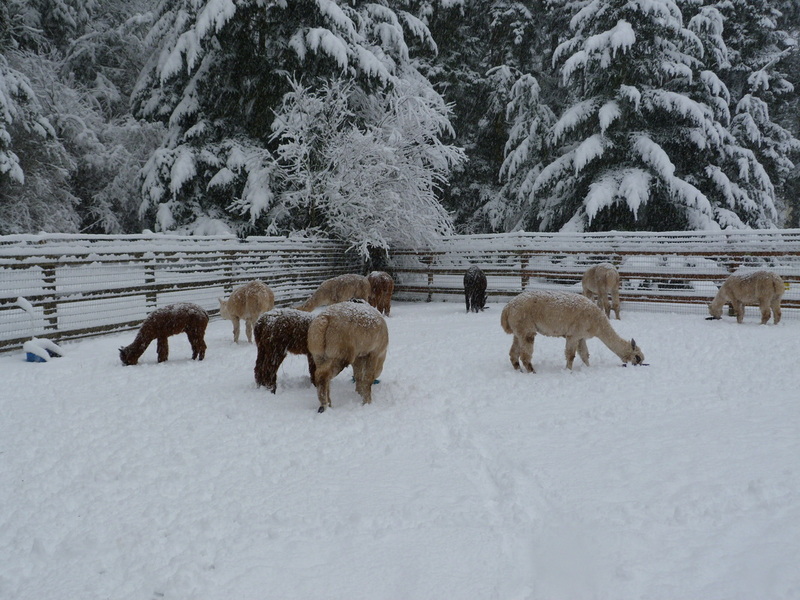 Snow has come to Pronkin' Pastures! 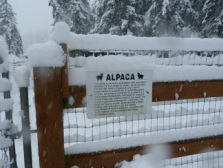 January 2012 - We don't often get snow on Whidbey Island, but when we do, I consider it a real treat! Look how lovely everything looks covered in a thick blanket of bright white snow! We didn't get any snow over the weekend and it seemed that every other area in Western Washington did. We felt a little left out... But we woke up to a light layer of snow on Tuesday morning - and by noon, we had over 6 1/2 inches! 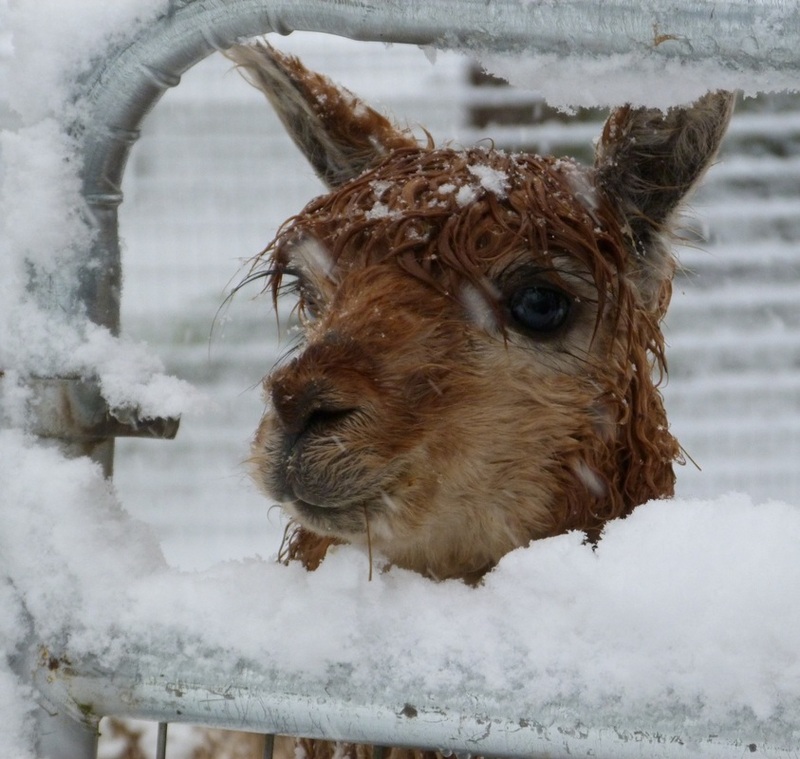 The alpacas love the snow, too!